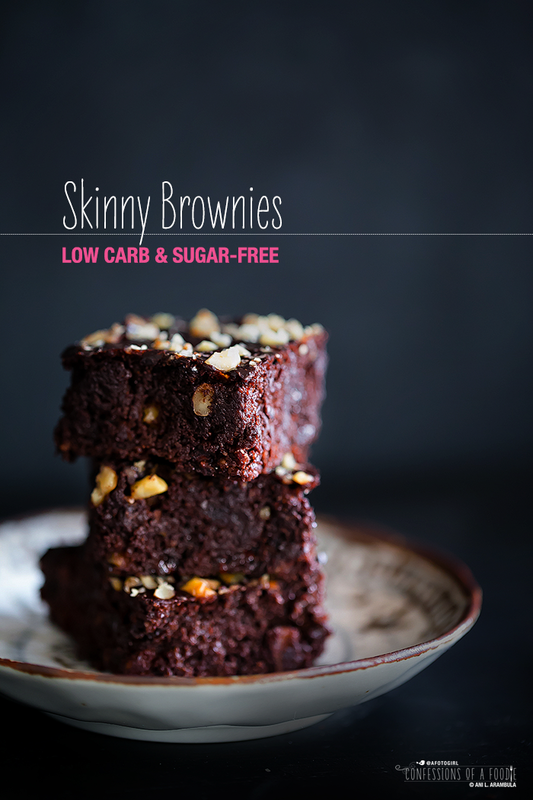 Substituting Sprouted Whole Wheat for all-purpose and olive oil for butter, these Skinny Brownies clock in at 100 calories with 1.1 grams of fat and 4 grams net carbs. Low carb, sugar-free and diabetic-friendly. Do you know what the hardest part about giving up white food has been for me? It hasn't been flour tortillas as I would have suspected since I have been known to eat one with virtually every meal since I was a child. Can't help it. It's in the genes. No, the hardest part of giving up white food has been saying goodbye to all sweet, not good for you carbs in general. Hello. My name is Ani and I'm a carb addict. It has been seven weeks since my last carefree indulgence of sweet white flour (it was the day I made these) and a breakfast filled with potatoes and white flour tortillas. Sweets these first several weeks has been fruit: the fresh blueberries I mix into my daily ½ cup of Greek yogurt; the plums and grapes I received for the Food Blogger Challenge last month. Flour tortillas have been replaced by La Tortilla Factory Whole Wheat Tortillas that have a net carb count of 3 grams. 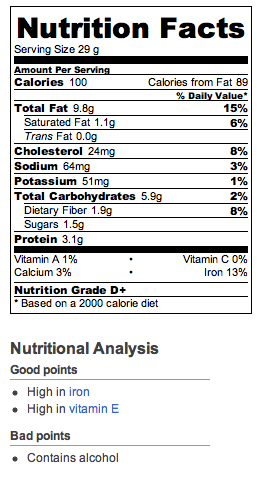 My meals are 70 percent dark leafy green veggies, 20 percent protein and 10 percent whole grain or legume. The everyday food I'm eating these days has been, for the most part, quite satisfying. The chicken I posted last week was definitely one of them. When you're eating organic veggies, whole grains, free-range chicken or the occasional high quality steak, you don't feel deprived. Except, the last few weeks, I've been a little obsessed with trying to come up with a treat that I can partake of now and again that won't blow my new eating habits. This plum cake I made was my first foray into low carb baking. That experiment taught me that I definitely will not be jumping on the coconut bandwagon: coconut flour, coconut oil, coconut palm sugar all either together or individually lend a fairly strong coconut flavor to everything I have tried using them for. That plum cake version number one used the flour and sugar combo and the coconut flavor overpowered the Meyer lemons. The coconut bandwagon was a great experiment because it taught me what I didn't like: the first and last tasting note being coconut. Truth be told, I really wanted chocolate. Thus began The Great Skinny Brownie Experiment. Four recipe adjustments later, I finally nailed it. And I couldn't be happier. This recipe clocks in at a 100 calories per serving with 1.1 grams of saturated fat, 4 net grams of carbohydrates, and with a mere 1.5 grams of sugar. I got here by using One Degree Organics Sprouted Whole Wheat Flour, olive oil and 2% Greek yogurt in place of butter, and I used applesauce and good quality pure liquid stevia for sweetness. Why it failed: Although these had the strong bittersweet chocolate taste that I was craving, it was my first time using liquid stevia. 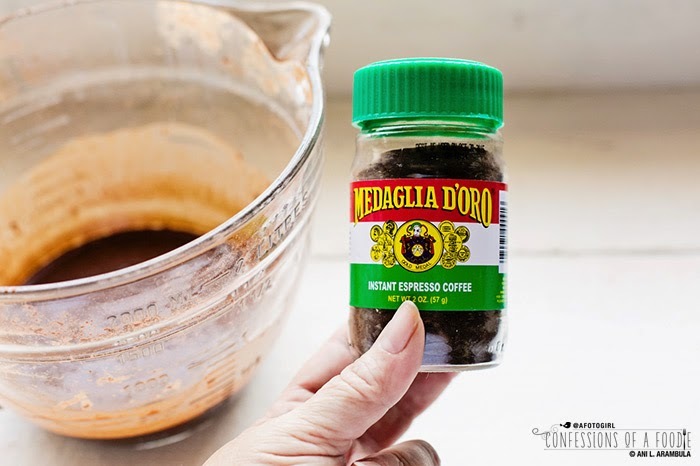 Having used powdered stevia for coffee, I knew it was much sweeter than sugar so I was afraid to use the recommended replacement measurement for 1 cup of white sugar. These were not at all sweet. Second, I hadn't allowed enough liquid for the fact that I was using such fiber dense flour. 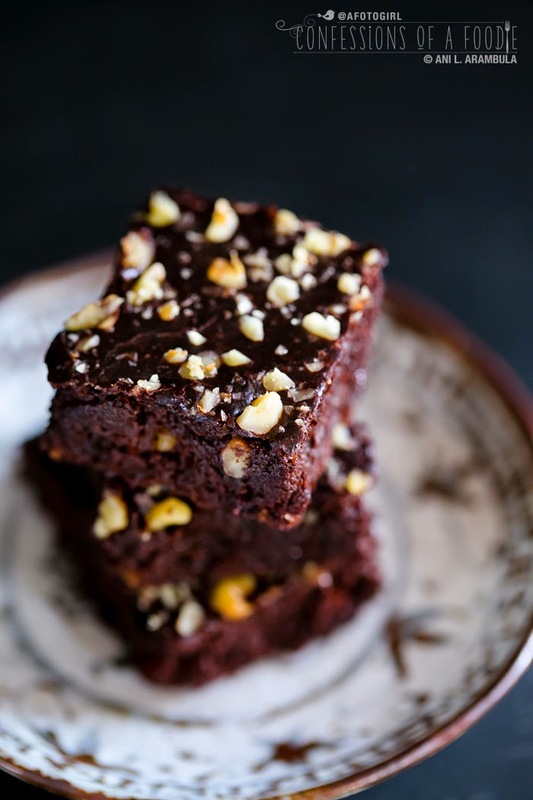 Notice the tops of the brownies are lacking any gloss. They are completely matte. I also baked these at 350 degrees for 15 minutes and they were overdone. I used only Dutch process cocoa and melted 3 ounces of 71% cacao Valrhona chocolate. The bittersweet was, in the end, to overpowering. Lastly, despite using 1 ½ teaspoons of baking powder (you don't use baking soda with Dutch process), they just didn't rise. Why it failed: Actually, this wasn't bad but it was flawed. This batch rose somewhat more than batch No. 1 and they definitely were fudgier and a little more moist. The difference here was going from 2 eggs to 3, adding the applesauce and doubling the Greek yogurt. I also upped the baking powder to 1 tablespoon and added ½ cup hot water. 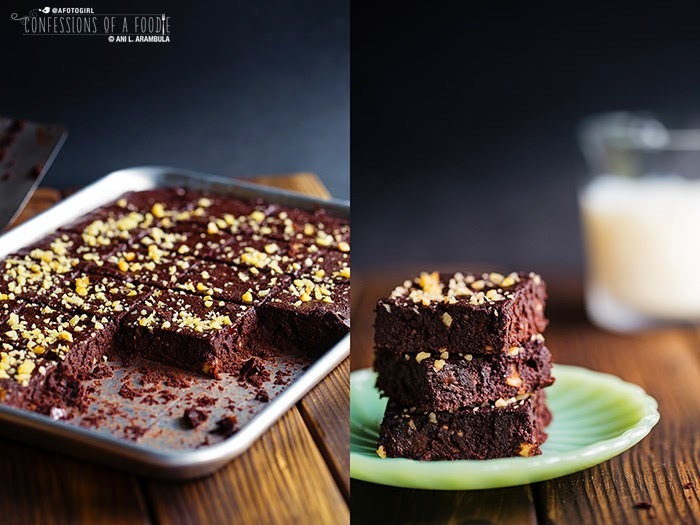 These still suffered from the first note being a bit bitter and even though they were sweeter with 3 teaspoons of stevia (up from 2), there was a 1 minute delay after finishing the brownie wherein a strong stevia after note began then lingered on the tastebuds. It was really weird. And it wasn't just me. Auntie noticed the same thing. I also lowered the temperature to 325 degrees and still baked at 15 minutes. Oh soooooo close: When this batch first came out of the oven, I was overjoyed at how much this had risen and how very glossy the top of the brownies were. After waiting about 20 minutes and cutting into it so I could photograph it, I noticed they were very cake-like and I was disappointed. They tasted overly sweet the very first bite to me but then again, I made these immediately following batch No. 2 and had them side by side to compare. Whereas the sweetness crept up on batch 2, I felt it hit you over the head in batch 3. The differences here: I lowered the temp to 300 degrees and baked for 18 minutes. 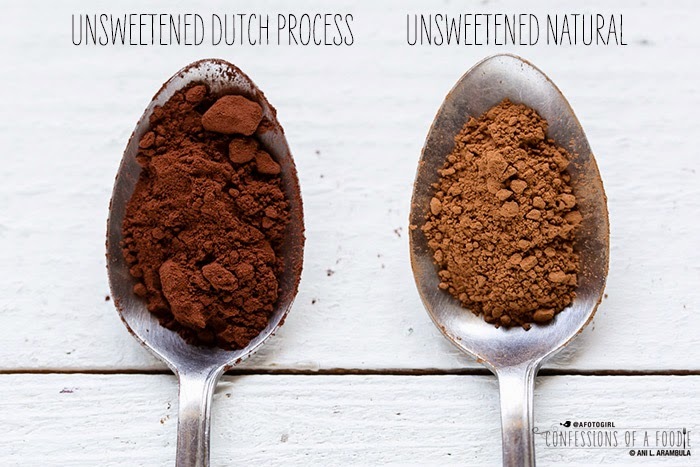 I swapped out melted chocolate for Hershey's Natural Unsweetened Cocoa Powder, since I was using a combo of both cocoas, I could introduce baking soda so I drastically lowered the baking powder (I have a feeling it's what gave batch 2 the bitter first note). Also, I beat the heck out of this batter. Seriously. Batches 1 and 2, I mixed by hand until JUST combined the way most box brownie mixes suggest. 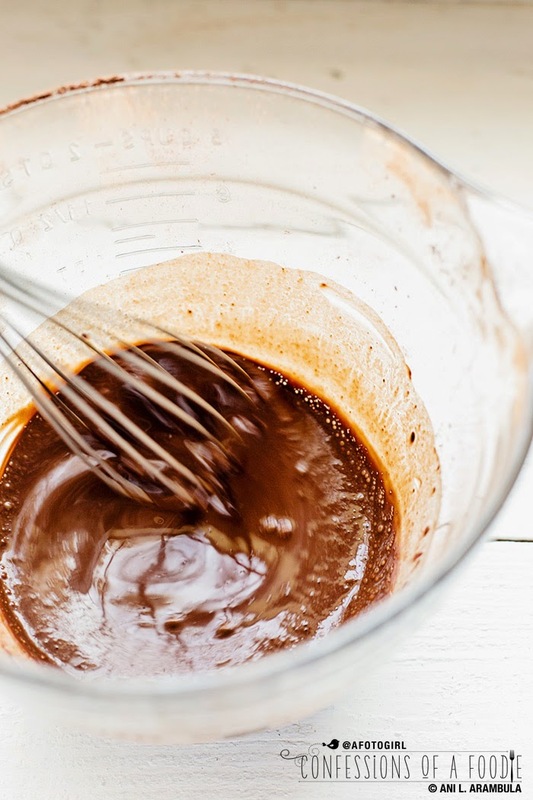 This time, I hand whisked the batter until I felt it thicken and fill with air bubbles. That whole wheat flour needed time to absorb water and the added aeration helped give it lift. At the end of this day, I was left preferring batch 2. Auntie was torn. I sent batch No. 3 to work with her the next day. She texted that they were a hit. Well, if they only knew what I had at home, I remember thinking. Then, Auntie brought home one for me to try. She said it didn't taste like the same brownie that we had eaten slightly warm the day before. She was right. The day after, this sweetness had mellowed, the brownie was less cake-like and much more fudge brownie-like. This was pretty much it. Winner: And here it is, the final batch. Perfect level of sweetness (minus ¼ teaspoon stevia), fudgy and tender crumb, no bitter notes, great lift. I did a trial and error so you wouldn't have to. 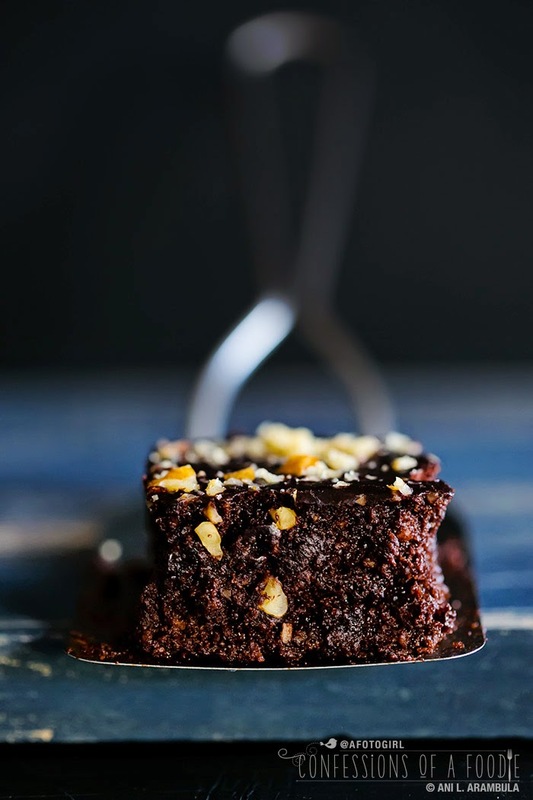 A brownie measuring a mere 2" square might sound tiny but trust me, these are so chocolatey and sweet, you'll definitely be satisfied eating just one (the nutritional data is decent enough, though, that no one can fault you for eating two -- just sayin'). 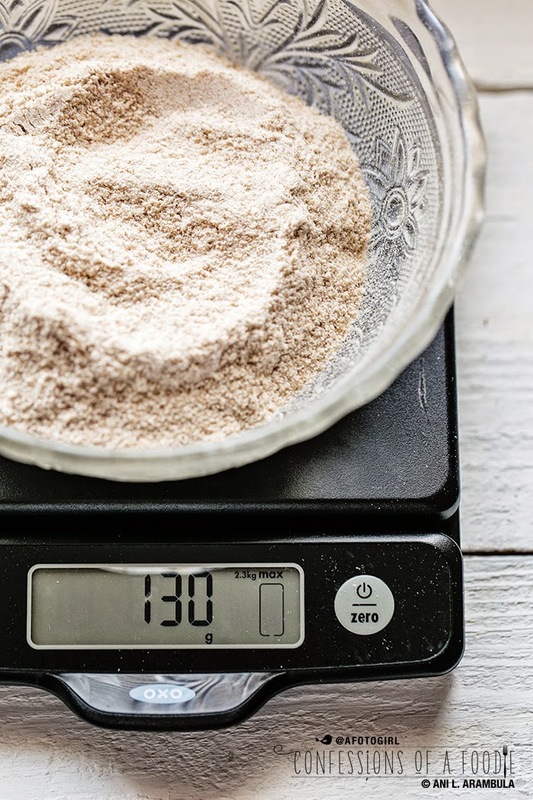 A note about measurements: If you aren't weighing ingredients for baking yet, I highly suggest you start. Weight over volume provides the most consistent results. You can find a good quality, not very expensive digital scale at most department stores. I'm providing approximate conversions to U.S. volume but can't guarantee results or that you will get the same nutritional data. Also, I used, as noted above, the sprouted whole wheat flour by One Degree Organics. You can find it locally at Sprouts. Whole Foods sells sprouted whole wheat flour but there is a difference in dietary fiber from brand to brand. I found One Organics to be highest and therefore possessing the lowest carb count. As for pans, the pan you use will vary the serving size, therefore changing the nutritional data. An 8x8 inch pan is much too small. 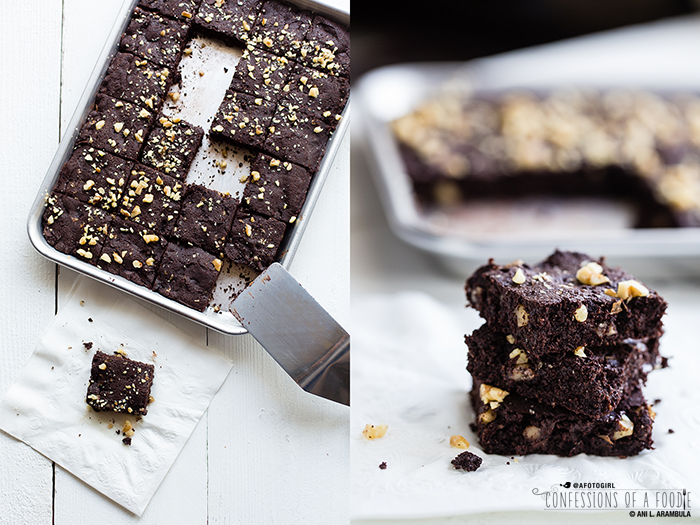 You'll get thick brownies and only sixteen 2" squares instead of 24 - a definite caloric difference. I used ¼ sheet cake pan also called a "jelly roll pan" and it measures 8" x 12"x 1". Locally, a good commercial grade pan is less than $10 at Smart & Final. 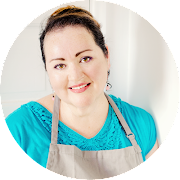 I have two and use them all the time for roasting veggies, to roasting chicken, and baking. 1. Place rack in center of oven and pre-heat oven to 300 degrees Fahrenheit. 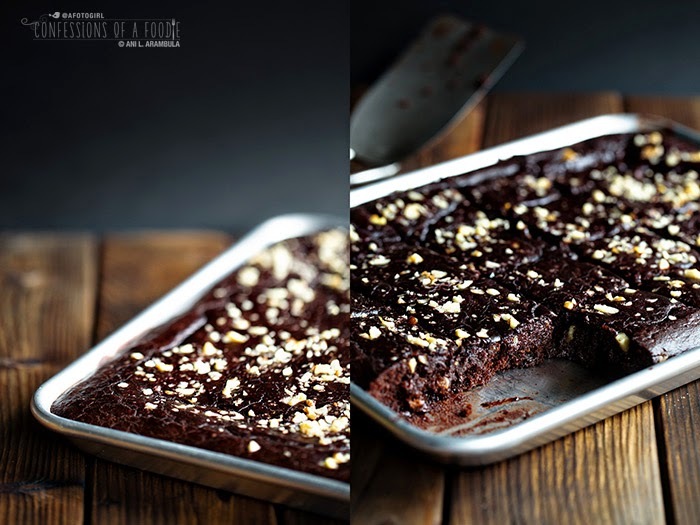 Butter an 8x12 inch ¼ sheet cake pan using a paper towel (you can substitute cooking spray). 2. 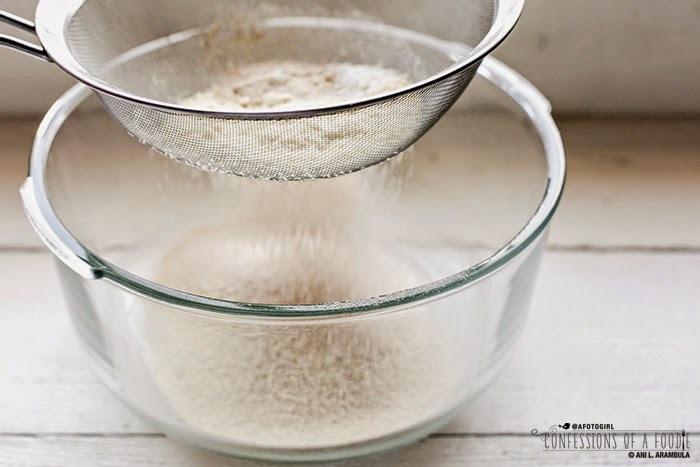 In a large bowl, sift together the whole wheat flour, baking powder, baking soda, and salt. 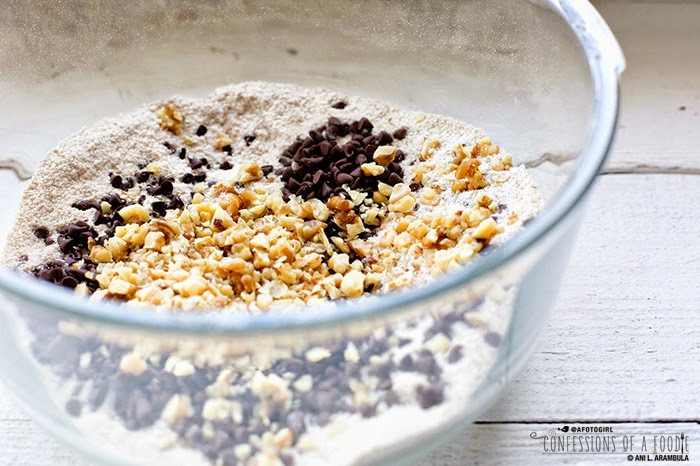 Whisk in the almond flour, all but 2 teaspoons of the walnuts, and the chocolate chips; set aside. 3. 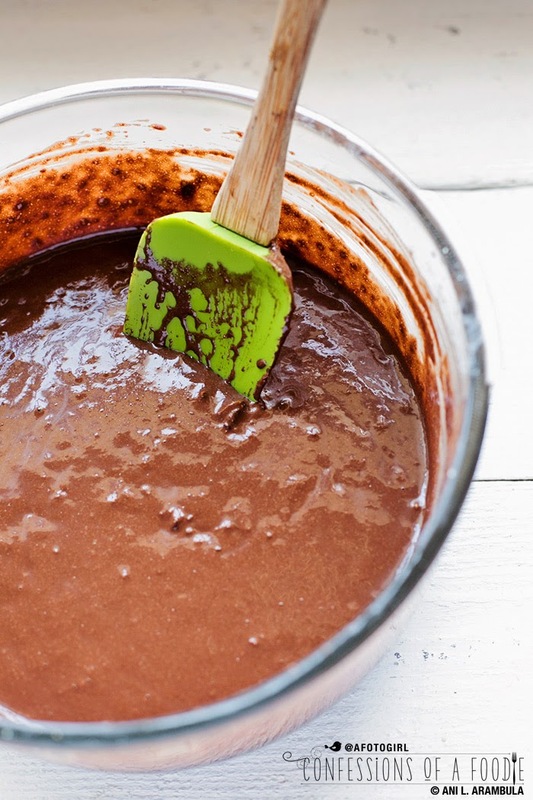 In a second medium-sized bowl, sift together the two cocoa powders to remove all lumps. Gradually pour in the hot water and whisk until it's smooth. 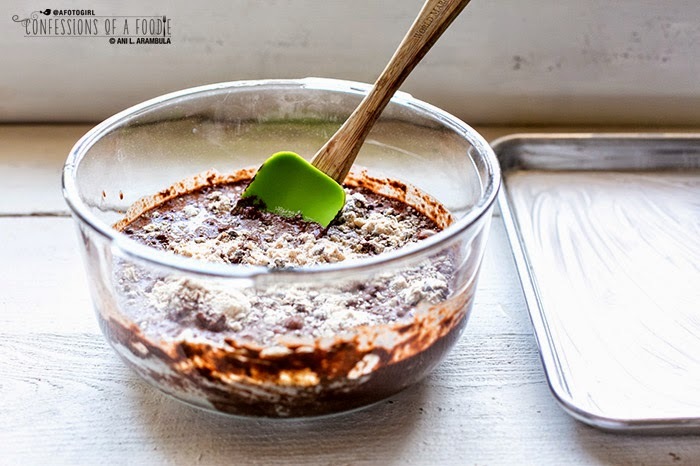 Add the vanilla, espresso powder, yogurt, applesauce, olive oil, lightly beaten eggs, and stevia and whisk until smooth. 4. 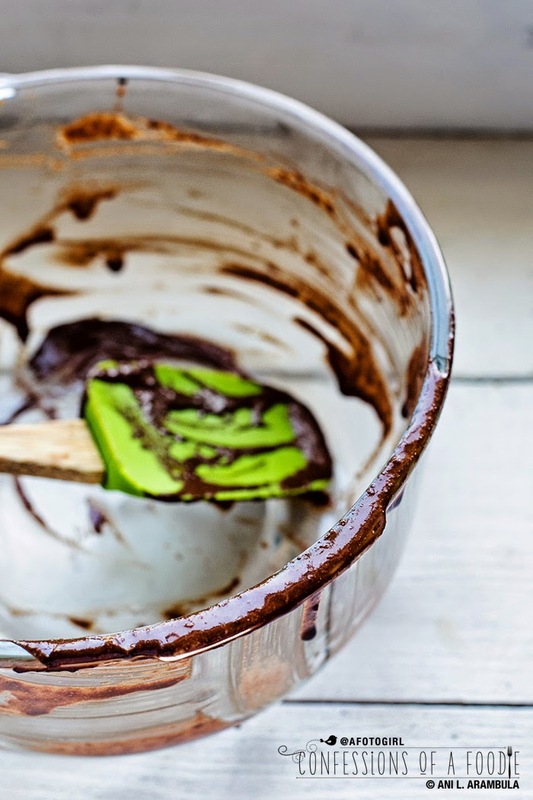 Add the wet ingredients to the dry and mix well with a rubber spatula or wooden spoon. 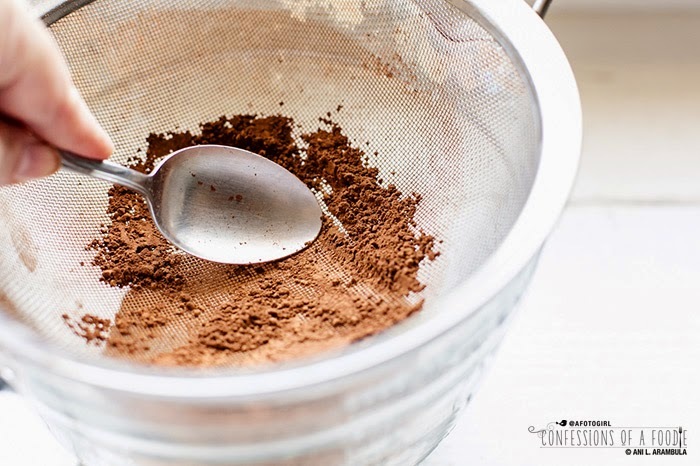 Once everything is incorporated, switch back to a whisk and prepare to get a workout: whisk for 3 full minutes. Batter will thicken and get glossier as the whole wheat absorbs some of the liquid. 5. Pour batter into prepared pan and bake on center rack. 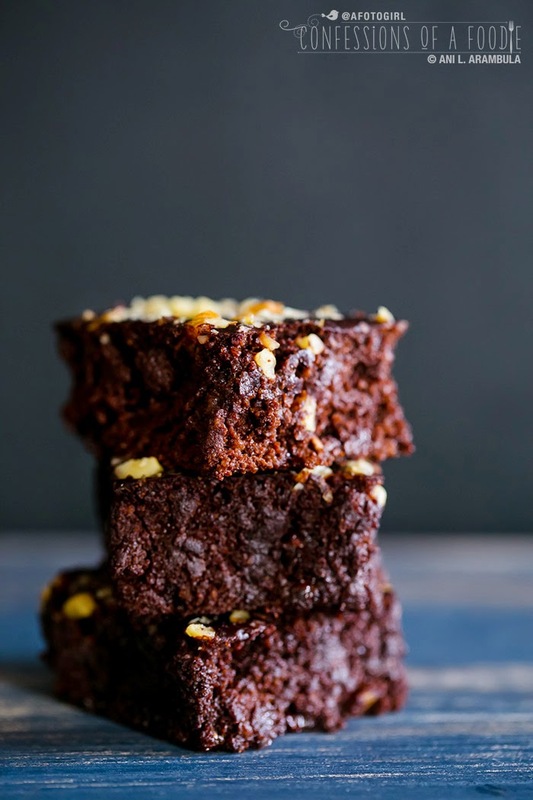 Begin checking brownies with a toothpick at the 16 minute mark. A toothpick inserted should come out with moist crumbs (mine came out darkened by batter at 18 minutes and I removed the pan at 20 minutes). 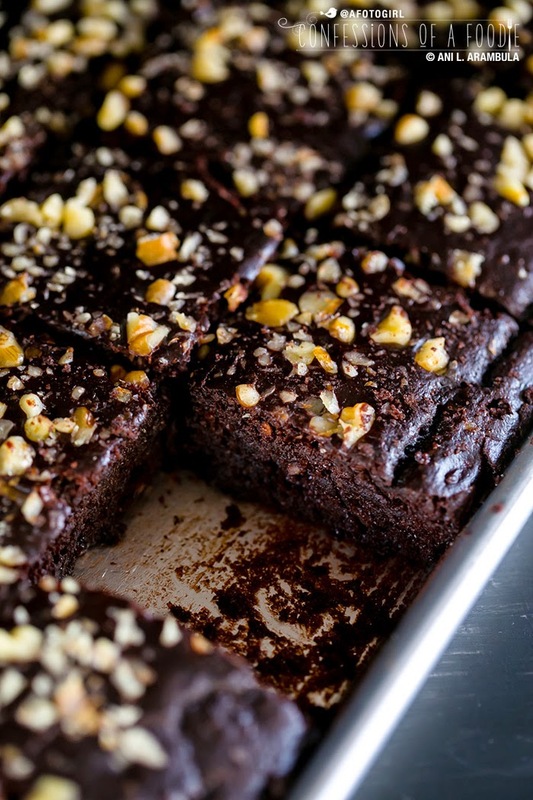 If the toothpick comes out clean, you've over-baked the brownies. 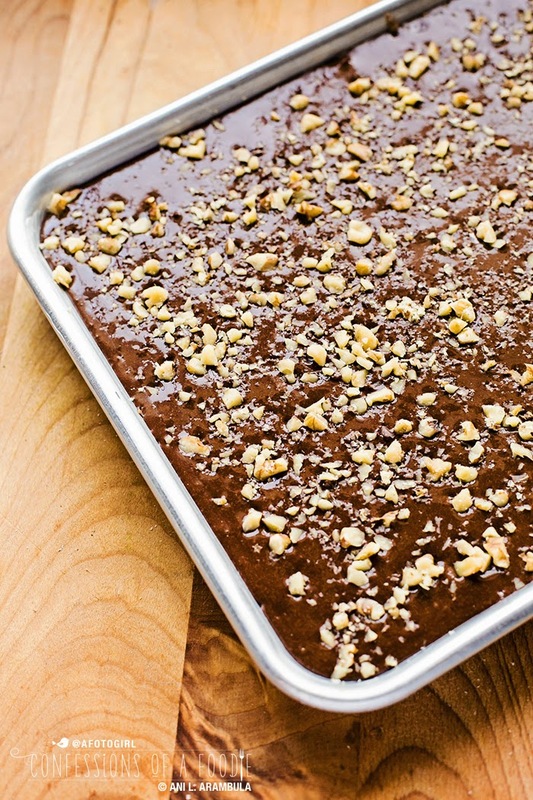 Allow brownies to cool for 20 minutes before cutting. However, I found these taste better the next day. 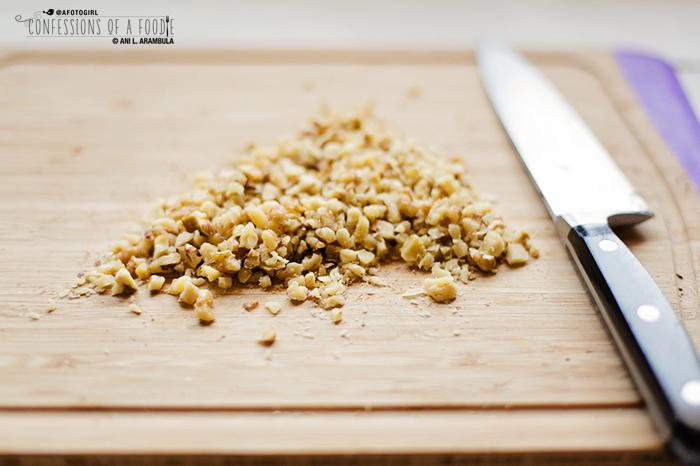 For best results, store in an airtight container in the refrigerator for 4-5 days. They can be left in a cool, dark area of your kitchen but not for more than a day or two as this summer heat spoils them quickly! Have a sweet week, everyone! Great job with the recipe testing here. The final version looks so fudgy and delicious!! Thank you, Brandon. It was a fun experiment. I have a feeling my Grandmother, who I live with, thinks I'm a little nuts. LOL It was definitely worth it, though.